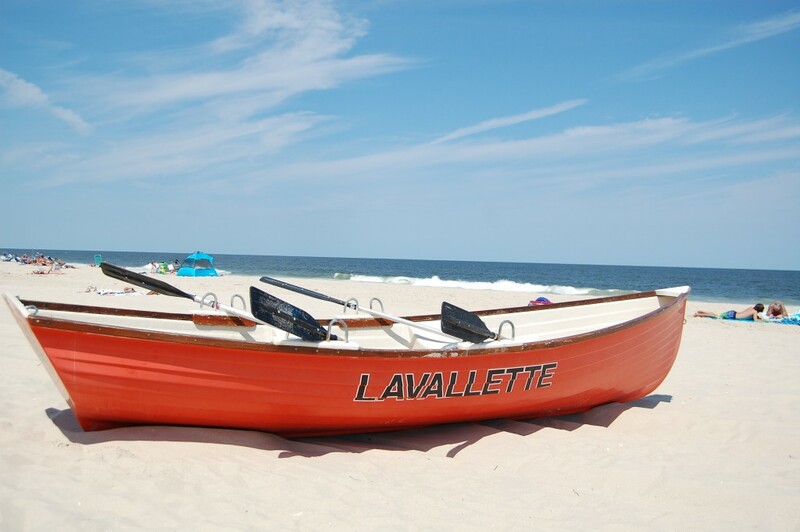 Lavallette beaches opened for the season last weekend, though the borough’s lifeguards were still without a home base. The new building, located at Philadelphia Avenue and the beachfront, still lacks plumbing, and its electric service is not yet finalized nor approved for use, Borough Administrator John O. Bennett said. The building’s showers are also still incomplete. Lifeguards have been working out of a storage trailer, and have been having lunch in a trailer pod opened on both ends. A few neighbors have volunteered their outdoor showers for the guards to use after they get off duty for the day, said Bennett. A $386,960 contract to replace the headquarters building was awarded late last year to Wallace Brothers, the same firm that built the new municipal building. Mayor Walter LaCicero, who has frequently expressed frustration over the pace of the project, said the borough may be looking into whether it will seek liquidated damages related to the a required completion date that has not been met. Despite the troubles with the lifeguard building, more beachgoers have been enjoying the borough’s oceanfront this year. Badge sales are up 7 percent – over $36,000 – compared to last season.